Minimum quantity for "3" Peg Board and Slatwall Hooks - Plastic, PBH-3" is 100. 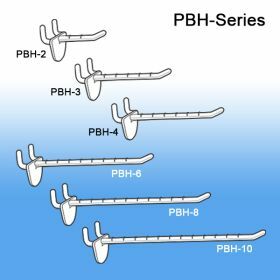 Pegboard Hooks are used with actual pegboard walls or fixtures and also are custom utilized on temporary corrugated displays. 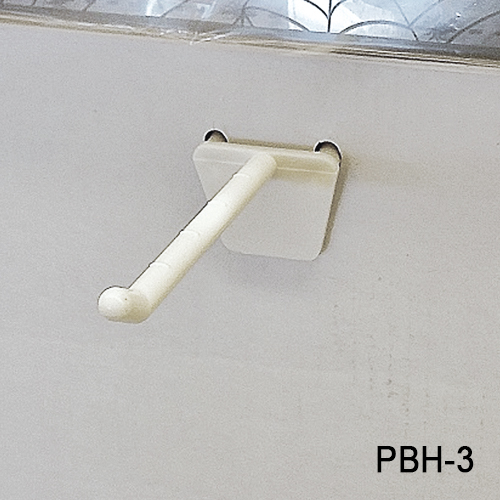 Clip Strip Corp. pegboard hooks can also be used on slatwall. 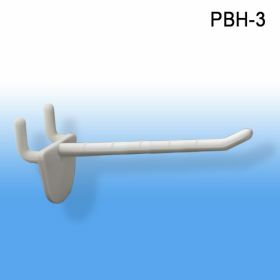 We carry this 3" version plus a 2", 4" and a 6" version. 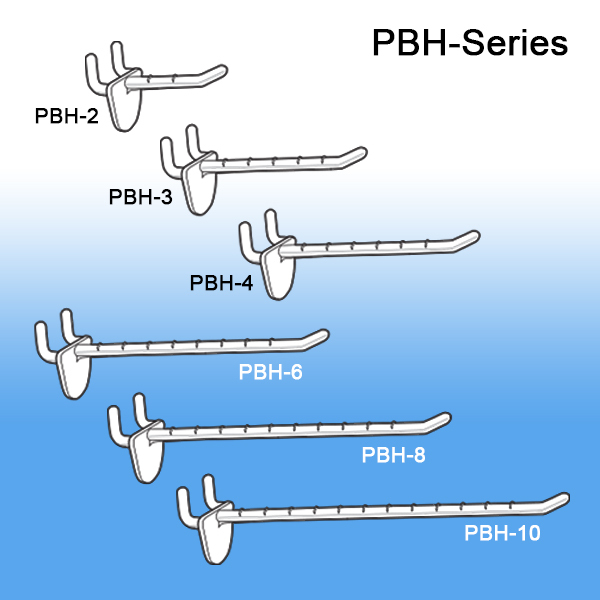 Looking for standard metal peg hooks, check them out our PBH-M Series. If you need items such as anti-theft locks, product stops, scan plate label holders, inventory control clips or label holder hook hikers, log into our Pegboard Accessories section.